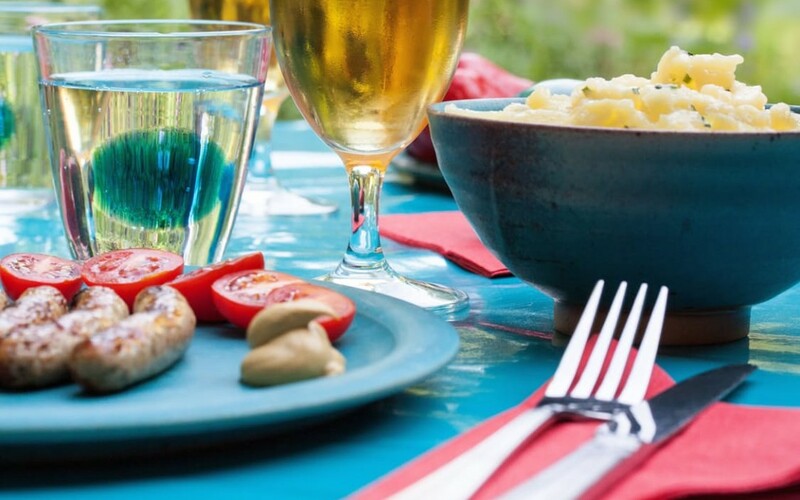 We know it sounds crazy but summer is right around the corner, which means it time to start planning your Memorial Day party! Memorial Day is first and foremost a day to show our respect and gratitude for the men and women fighting for our country but it is also the unofficial start of summer. We can’t think of a better way to start having some summer fun than by throwing a party outside with family and friends! Check out this list of tips from our event experts and then give us a call to book your tent. Location, location, location! Start off by picking a location for your Memorial Day Party. If you ask us, backyard parties are the best summertime option. If space is an issue, consider a local park or picnic area. A tent is a great way to make the outdoors more comfortable for people who might need a break from the summer heat. Make a guest list & check it twice. Remember, Memorial Day is a popular party day so don’t be shy about extending the guest list. This isn’t a sit down dinner – people will most likely be staying for an hour or two, party hopping. Be conscious of how much space is available so you don’t have to worry about guests competing for chairs. Once you feel good about your list, turn to online invitations to help you get the word out. While paper invitations are awesome, they’re a little too formal for this type of party and probably more work than you want to put in. If most of your friends are on Facebook, creating an event is another great option. However you send your invitations, be sure to have a way to keep track of RSVPs! What should we eat? Hamburgers and hot dogs are the go-to meal for Memorial Day but you can really throw anything on the grill and it will be delicious! Consider some alternative options like shrimp, sausage, bison burgers, veggie burgers, grilled vegetables and grilled pineapple for dessert! Don’t forget the buns and condiments! Save yourself the hassle of organizing and consider a potluck-style for your side dishes and desserts. If you can supply the main course and beverages, guests are usually more than happy to help with everything else. If you send your invites through Facebook your guests can even post what they’re planning on bringing so you don’t end up with 10 bowls of potato salad. Keeping cool. So you don’t have guests going in and out of your house, set up coolers and/or beverage stations outside with lots of options. Think iced team, lemonade, seltzer, beer, wine and of course – water. Consider mixing up a refreshing sangria to help get everyone in the summer spirit. Standing room only? While some guests might be okay with walking around, standing and mingling, there will certainly be people who appreciate having a place to rest. Benson Tent Rent can help you decide on how many chairs to rent and which ones will be the most comfortable. Since it will likely be pretty warm in May, we do not recommend metal chairs! Picnic tables are also a great summer touch. Don’t forget to decorate. Balloons, streamers and American flags are easy to find around Memorial Day and are fairly low cost. If your party is going to extend into the evening, don’t forget about outdoor lighting. We’ve got a number of options to help light your space and keep the party going. It’s a party! A Memorial Day party isn’t complete without the proper party games! If you don’t have any, ask around to see who has games like corn hole, ladder ball, outdoor Jenga, etc. Consider giant bubbles or a pinata for the kids (and adults)! While May might feel like a long ways away, it’s going to creep up on us quickly. The sooner you can plan your Memorial Day party, the more fun you’ll be able to have the day of. Get your friends and family excited by sending out a teaser email and work with Benson Tent Rent event experts to plan the perfect party.